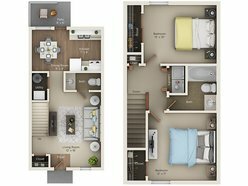 Our one bedroom apartments feature, washer and dryer hookups, dishwasher, garbage disposal, outdoor storage and private patios/balcony's. 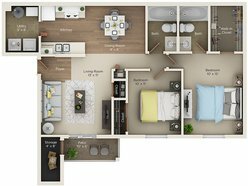 Our deluxe one bedroom apartments feature new GE appliances, new light and plumbing fixtures and chrome finishes. Our Premium Upgrade is our highest upgrade. Our premium upgrades feature new GE appliances, washer and dryer, agreeable gray walls, chrome finishes, new light fixtures and white shaker cabinets. 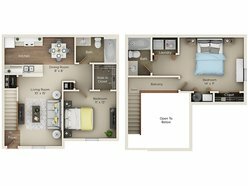 Our Two bedroom apartments feature, washer and dryer hookups, dishwasher, garbage disposal, outdoor storage and private patios/balcony's. Our two car reserve has an open layout with vaulted ceilings. All reserves have a fireplace, washer and dryer hookups. Two car garage with storage space. With our reserves you only have one shared wall and lots of grassy areas. Our one car reserve has an open layout with vaulted ceilings. All reserves have a fireplace, washer and dryer hookups. One car garage with storage space. With our reserves you only have one shared wall and lots of grassy areas. 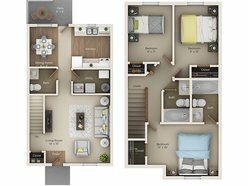 Our deluxe two bedroom townhomes feature new GE appliances, new light and plumbing fixtures and chrome finishes. Our two-bedroom townhomes feature private entries and private patios. Townhomes are two stories so you have no one living above or below you. All townhomes have washer and dryer hookups and dishwashers. This is our largest floor plan. This home has two bedrooms downstairs and an open loft area up stairs. All homes feature washer and dryer hookups, dishwasher, two-bay sink. 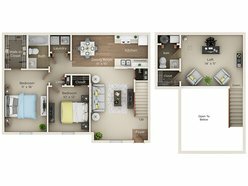 Our deluxe two bedroom loft feature new GE appliances, new light and plumbing fixtures and chrome finishes. 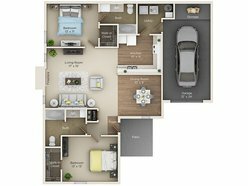 Our deluxe two bedroom apartments feature new GE appliances, new light and plumbing fixtures and chrome finishes. Our three bedroom townhome has a private entrance and private back patio. Our three bedroom has 2 full bathrooms and a half bath. Townhomes include dishwasher, garbage disposal and washer and dryer. Premium Upgrades include: New GE Appliances, modern lighting, chrome finishes, white shaker cabinets and washer and dryer. 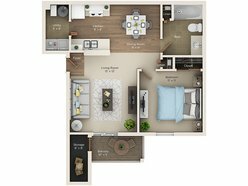 Our deluxe two bedroom townhome feature new GE appliances, new light and plumbing fixtures and chrome finishes. 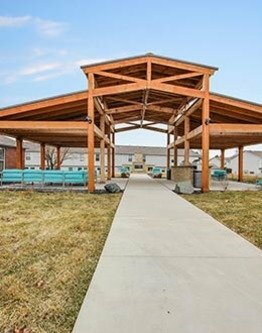 The Vista apartments gives you rewarding living at its finest with recreation and relaxation all in one place, comfort and convenience at your front door. The Vista is at the heart of it. 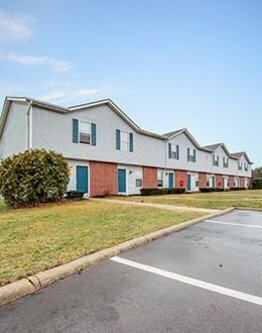 Come home to your Portage apartment with a new standard of living. Come home to The Vista. Move in by 4/27/19 and receive up to $500 off your move in costs on select 2 bedroom homes!